Keeping elderly individuals’ bodies clean, getting them changed, and other grooming and hygiene needs are necessary to keep them healthy and to avoid sores and other problems. However, caregivers face a lot of risks and difficulties in performing these tasks for the elderly. There are concerns about weight, safety, proper cleanliness, comfort, and willingness. As challenging as grooming and hygiene assistance can be, the caregivers of Lowenhill Home Care Services are equipped to face these challenges and stay excellent in performing these necessary tasks. There are ways to address these difficulties. 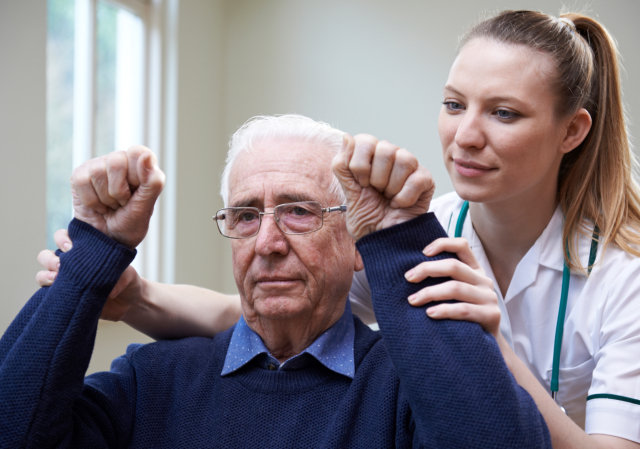 Caregivers cannot really know what is going on in elderly individuals’ minds. They may perhaps feel shy about having someone assist them with bathing, toileting, getting dressed, etc. or ,they may feel that they are being forced to do something. It might be that they have fears and anxieties as well when it comes to doing certain things. It could also be that they have been hurt before. There are many possible reasons and feelings. The only way to know what concerns the elderly individuals is to talk them. Caregivers can ask them how they feel, what goes through their minds when they help them with grooming and hygiene needs, and what could possibly calm their concerns. Would they prefer to do them in a different time of the day or would there be anyone they who can help them feel comfortable when they are being assisted? Caregivers also have to explain to the elderly individuals why it is necessary to take care of their grooming and hygiene regularly. By talking to them, seniors would feel less daunted and defensive in receiving assistance. Since among the major concerns in grooming and hygiene assistance is the safety of elderly individuals, it is advisable to take necessary precautions. It would help a lot in the elderly individuals’ fear of falling and getting hurt and it would also be a big help for the caregivers in managing the weight that they have to carry. One of the precautions they can do is by making the bathroom, toilet, and bedroom handicap-friendly. The elderly individuals’ loved ones can install handrails, grab bars, shower or tub benches, and anti-slip adhesives on floors. Through these, elderly individuals’ do not have to put their safety entirely on the caregivers’ hands. They can help themselves as well and feel confident in being able to do so. To prevent the elderly from being cold and being traumatized for being left shivering and tired, or to get the whole bathing, toileting, grooming, and getting dressed done swiftly and smoothly, it is crucial for the caregivers to get everything ready—from towels and clothes to toiletries and other necessary items. Grooming and hygiene assistance can be very challenging but it can also be amended. The staff of Lowenhill Home Care Services is sensitive to the needs, welfare, and peace of mind of the caregivers, elderly individuals, and their loved ones.